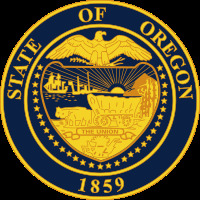 Oregon State Treasury is recruiting for the position of Investment Analyst 1, Fixed Income. This position is located in our Tigard office. The primary purpose of this position is to support the Fixed Income Investment Officers in their daily portfolio management and trading activity, as well as provide backup assistance in the oversight of external Managers. This is a SEIU represented position. The work schedule for this position follows east coast market hours. The salary range for this position is $50,652 - $73,944 annually. Oregon State Treasury (OST) is led by Tobias Read, State Treasurer, a constitutional officer and statewide elected official. OST is an organization with a wide range of financial responsibilities, including managing the state's pension fund, issuing all state debt, and serving as the central bank for state agencies. OST manages the daily investment of approximately $100 billion in assets, held in a diversified investment portfolio of domestic and international equities, fixed income securities, alternative and opportunistic investments, real estate and cash. OST also manages a banking program that processes over $250 billion in transactions annually, a debt management program responsible for issuing and monitoring approximately $10 billion in state debt, a multi-faceted 529 savings plan, and an IRA based retirement savings program for the public. The 150+ member OST staff takes great pride in their statewide and national reputation for progressive approaches to service delivery. The Investment Division, currently comprised of 50+ individuals, is responsible for managing the investment of the Oregon Public Employees Retirement Fund (OPERF), the State Accident Insurance Fund, the Oregon Short-Term Fund, the Common School Fund, and numerous other state and state agency accounts. The Division also manages the investment program for the state's deferred compensation plan, advises the Oregon 529 College Savings Board on its investment activities, and serves as staff to the Oregon Investment Council (OIC). The Division oversees the actual investments, which are made by a select group of outside investment managers, as well as provides internal management capabilities for select mandates comprised of common stock, fixed income, and money market securities. - Work in conjunction with Investment Officers in the ongoing monitoring and oversight of external Managers. - Experienced with Blackrock Aladdin, Bloomberg and MarketAxess, a plus.